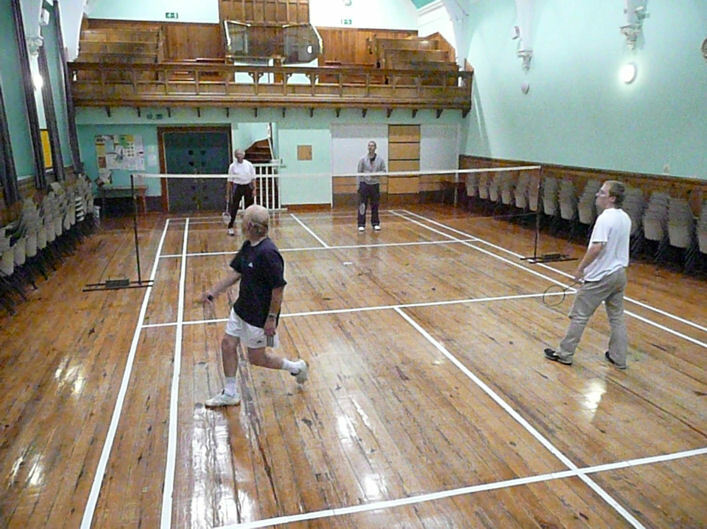 Friday evenings from 7:30pm until 9:00pm sees badminton being played by an enthusiastic but amateur group of people, both men and women. The emphasis is on fun, though the side effect of increasing fitness (marginally) is very welcome. All standards are welcome, though a familiarity with the rules is helpful, as is an ability to remember the score!! We hear constantly the names of people who used to play – it's never too late to dust off those racquets and come back. Come on, come and join us or come back and join us. Further information from Kathryn Emmott via the Church Office.